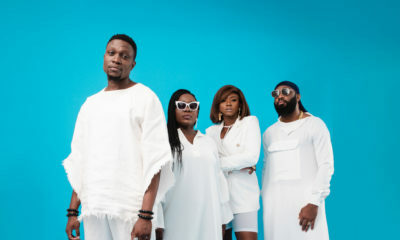 Words aren’t really enough to describe the musical sensation, Waje, who in recent years, has dazzled us with rich melodies from her unique and powerful voice. Real names, Aituaje Iruobe, Waje first captured our attention when she featured on PSquare’s 2008 hit track Do Me. Since then, she has featured in Banky W’s “Thief my Kele“, M.I’s “One Naira” as well as her solo hits like Kolo, For A Minute and So Inspired. She has a degree in Social Work from the University of Nigeria, Nsukka and has received several awards including Best Female Vocalist at the 2011 Hip Hop World Awards and the Best Female Vocalist at the 2011 Nigerian Entertainment Awards. In this exclusive interview with Adeola Adeyemo, Waje speaks about her career, her friends, her family and her inspiration. 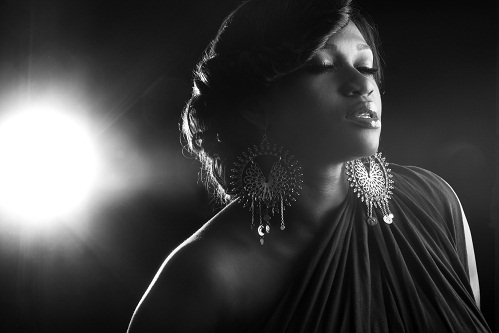 With her strong vocals and dynamic personality, Waje has been a rising star ever since she broke into the music scene. She is nothing short of a breath of fresh air and has been releasing hit after hit both on solo tracks and on collaborations for a while now but is yet to release her debut album. She was an interesting company for a lunch date and the first question that came to my lips when we started chatting was an inquiry about her debut album. You have been teasing us with hit singles since the 2009 release of your first solo track, ‘Kolo’ but you are yet to release your debut album. What is causing the delay? One if the reasons is because I feel that as an artiste, in as much as you want to satisfy the people that love you, you want to be satisfied with yourself as regards to the material you are putting out. I know I’m long overdue for an album, but the thing is I’ve been working on myself. There are so many things I feel I need to work on so by the time it is completed, you and every other person would smile because that is really the goal. Trust me, eventually when it comes out, it will be great. You recently gave us another tease with your latest song ‘I wish’, though not intentionally. I understand the song was leaked. How did it actually happen? To be honest, if I said I knew, then I would be kidding. But I feel that maybe I relaxed, I wasn’t paying attention to certain things. I don’t know how it happened and I don’t have any reason to start seeking explanations. But the most important thing for me is that I’m so grateful to God that people even accepted it. I’ve been reading comments on it and the fact that people love it actually shows that I have great love and I’m saying thank you for loving ‘I wish’. Were you satisfied with what was released or was it the case of releasing an uncompleted work? I was. But sometimes, when you cook a beautiful dish, what makes it more delicious is the way you present the dish and I just felt that the way it was served wasn’t the way it was supposed to have been served. And if it was served the way it should have been served, then I would be more satisfied. Are you going to pursue any legal actions against the person or organization that was responsible for the leak? Do I know who the person is? Don’t you even have an idea? I have no idea. It’s wrong but I don’t think the person had any bad intentions. Something similar happened on the track you once did with MI, ‘One Naira’. That track was also leaked online. One Naira is not my song. I think at some point it did leak but it has absolutely nothing to do with me. Also in preparation for your album, you unveiled an album artwork competition some months ago. How far has it gone and what was the idea behind it? Aside from promoting the album, I felt that there was a part of the entertainment industry that people don’t pay attention to. People don’t see the graphic designers who design stuff and make us look nice. I just felt that we should make some noise about them. Eventually, two people – Temitope and Christiana won it. They live in the UK. Some time ago, it was in the media that you had undergone a complete style transformation and people saw you in a different way from when you launched your music career. Before we talk about the transformation, tell me, what wouldn’t you compromise when it comes to fashion? I think Waje is very peculiar when it comes to style. I love comfort and no matter how I try and change, that doesn’t change. That transformation also came with some weight loss. Was it deliberate and what were the reasons behind it? To tell you the truth, it wasn’t for people to say “Wow, Waje has lost weight”. My health is also important. Secondly, I may not come off as one, but I am actually a role model to a lot of young people and they might feel “Waje is big, then we are big”. But better if Waje is losing weight, their reaction would be “What did you do? Let’s do it together”. So there are so many reasons why all that has been going on. How easy or difficult was the weight loss process? Did you work with a trainer and how many sizes did you drop? It’s not easy to tell you the truth. Our food in Nigeria does not help either. I have a private trainer that I always work it. I have a sweet tooth that is terrible. I love chocolates and ice cream but these days I’ve started saying no to a lot of things. So working out is therapeutic for me because it keeps me calm. I dropped one size. Do you now have stylists pick out the clothes you wear in this transformation process? I work with two stylists but the one I’m working with now is Liam Fashion Agency. And I’ve worked with Lucy Phil-Ebosie. She helped me with my transformation stage. I used to love wearing black because I felt that black makes me look slimmer but Lucy would scream and go and get burnt orange, yellow, green for me. For someone who loves to dress comfortably, what would you say has really changed about you and people’s perception to your style? My style has changed because I’m more comfortable with myself as an artiste. I’ve discovered myself and I know what I like to wear. I’ve found out that I look nice in certain things and I don’t look nice in others so it was just about me finding out what I looked good in and eventually when I discovered few things that I looked nice in, people say my style changed. I noticed that you and the award winning singer, Omawumi seem quite close. I’ve seen lots of pictures of you together and you’ve featured on each other’s tracks. Tell me about your friendship with her. We are very good friends. Omawumi is not the only one I’m friends with, I’m also friends with Sasha, with Lami. Munachi is my sister. The reasons why I have all these people around me is you can’t just do it alone, you need someone around you to encourage at certain times. When the world music sensation, Whitney Houston died, you sang a heartfelt song in her tribute. Would you say she was one of the people that inspired you? Definitely. When I was in school, they nicknamed me the “Whitney of Word of Faith” – I went to Word of Faith school in Benin. One time in school, I sang her version of ‘Yes Jesus loves me’ and that is when I got the name. She inspired me, and not only me, a lot of young women. I feel that if she hadn’t gone into music, a lot of us wouldn’t have. You once tweeted that you were inspired by star actress, Genevieve Nnaji and the tweet caused some buzz online. What was the reason behind that tweet? Yes, I really love Genevieve. Everybody sees her beauty and the outward appearance but I see a very strong, determined woman. Genevieve is the kind of person that with her personality and work ethics, she can make you feel like if she can do it, then you can. She inspires me. Just like you, Genevieve has a daughter. Would you say her success as an actress and a mother was one of the reasons why you were inspired by her? Not really. I found out that she had a daughter way before I became anybody in the industry but thinking about that makes you feel great about yourself as well. These kids are testimonies and they bring sanity to everything you do in life. Let’s talk about this sanity. Tell me one memorable thing your daughter has done that calmed you when you were feeling down. A long time ago, someone called me for a gig and I didn’t like what they wanted to pay me and I didn’t have anybody to talk to. So I called my daughter and she was like “Mummy what is it?” and I told her, and she said “Don’t worry, just go and pray. Then when you finish praying, tell them the amount you want and they will give you.” They never did but the fact that my kid can tell me that was everything I needed then. That is sweet. She must be really smart. I’d love to hear more wonderful things she did that made you feel blessed. One time when she was younger I saw her prayer list. Number one “Lord please give my mummy money to build a house”. Number two “Lord please give my mummy money to take me to America”…. At the time she wrote that, I had never been abroad in my life, not even South Africa and I was so moved, I took a picture of that thing and put it as my display picture on my BB. To tell you the truth, all those things have been achieved. It might be from my hard work but the fact that one little child is praying for her mother is wonderful. She’s named after a precious stone. Is there any particular reason why you don’t want to share much information about her? We artistic people, there are certain things that we guard jealously and the reason why we do that is not only because of us but because we have respect for the people involved. Out of the respect I have for my daughter, her father and every friend and family member, there are certain details that I can’t just give out like that. I understand and I respect that. But I just have to ask, are you dating anyone at the moment? Just know that I’m in a happy state in my life right now. That’s wonderful. Let’s get back to your music. 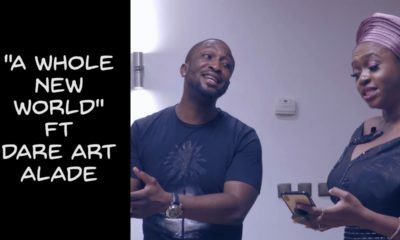 How did you come about your stage name, Waje? A friend of mine asked me a question and told me to describe myself. I was saying it with so much passion and he cut me off and said “Words Aren’t Just Enough”. To be honest with you, Rotimi, Pype’s manager, he actually gave me that name. 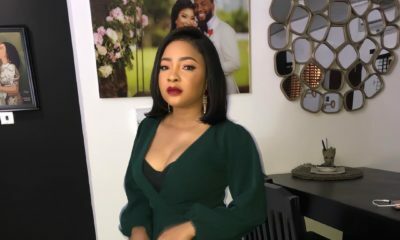 Your performance on PSquare’s hit track, ‘Do Me’ was what brought you into limelight. How did you get that opportunity at a time when a lot of people didn’t really know Waje? P Square came to Enugu and saw me perform. After the performance, I took one of their songs and remade it and sent them the song and they loved it. When they were doing their next album, they called me and wanted me to be part of the project and I jumped on the opportunity. Rumour has it that you weren’t happy because you weren’t given due recognition from PSquare after you featured on that track. Are the rumours true? We’ve all moved on. I’m happy with where I am today and we have a great relationship. As a matter of fact, the song ‘I wish’ that was leaked was produced by Papi J and Paul Okoye. If we weren’t happy with each other we won’t be working together. There’s this general perception that you were a back-up singer for a long time before going solo. How true is that? I was never anyone’s backup singer. A lot of people misconstrue it. The only time I backed up anybody was when I was in JSS3. They took us to the studio and I never even met the artiste we sang for. They just told us the lines to sing and it was later I found out the song was for Majek Fashek. I think I was 12 then. 12 years! You have been singing for a long time. How did you train your voice to become as powerful as it is now? The only place I trained my voice was at the choir. In Nigeria, we don’t have that kind of structure where you have vocal coaches and all of that. Now I want a vocal coach so any vocal coach that is reading this interview, please contact me. But you have to be very careful so that the person doesn’t change the texture of your voice. At what point in your life did you decide you wanted to sing professionally? I always knew I would be an artiste. The only thing is I didn’t know what kind of artiste I wanted to be. I was about to write my JAMB exams and I was in the choir and one time I went to sing and Uncle Chris Madubuko, he’s sort of my mentor, called me and asked, “this voice of yours, what do you want to do with it?” And from then, we decided that I should take music professionally. After you featured on PSquare’s track, how has the progress been on your music career? After Do Me, I went for the MTV Base Reality TV Show, Advanced Warning. Then from Advanced Warning, I released my first song, Kolo in 2009. After Kolo I did For A Minute, then So Inspired, then I did Na The Way. After that I am yet to bring out another one except for the ‘nice’ person that went to release I Wish for us. Tell me about your So Inspired video. What was the concept behind it? One of the greatest people I’ve met and I’ve been fortunate to work with is Clarence Peters. He can take something very small and turn it into something very big. To be honest with you, as at the morning of my shoot, we had no idea what we were doing. We got to South Africa and I was supposed to used a Stadium and cheerleaders and stuff like that. But we couldn’t afford it. At the end of the day, he created something really beautiful. We’ve talked much about your career but not about your childhood. Where were you born and what did you before getting into music? I was born in Akure, then later my parents moved to Lagos and after to Benin and I moved to Enugu. I worked with the Enugu State Tourism Board for one year. Then I went to Onitsha and I started a catering business where we started making Chin Chin. I have a friend that till now when he sees me, he keeps calling me ‘Waje Chin Chin Limited’. What was so special about your ‘Chin Chin’? We had the best Chin Chin in Nigeria. We used pure butter instead of margarine. We used to finish about 50kg of flour within two days when we had large orders. Some people here in Lagos have tasted my chin chin. I like to fry every Christmas so maybe this Christmas I’d make chin chin for you. Looking back at where you are coming from and where you are now, what has changed about you? I know myself a lot more now. I love when challenges are thrown on me and I work hard to get it. I’m a better person. It was great chatting with Waje and from Bellanaija.com, we wish her the very best! Celebrating Team Nigeria: After Setting a Personal Best Record with 10.93 Seconds, Nigerian Sprinter Blessing Okagbare Blazes Up to the 100m Semi-Finals Tonight! I have always love WaJe she such an inspiration & she loves my Genevieve Nnaji too. Wow keep shining & God bless u always kisses. I did not realise she was this fine and selectively endowed. i want some Waje, now! 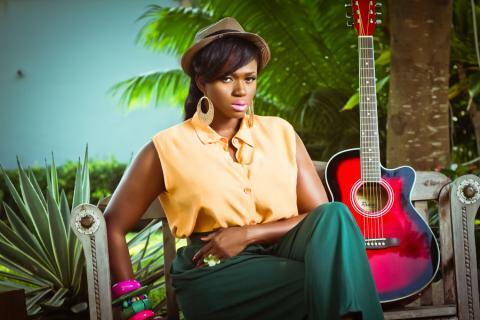 Waje takes some fierce photos! I am trying to choose between the black and white shot with her eyes closed and the other where she is waving the dress like they are flames of fire. my thots exactly. Waje! Waje! Waje! lov her. She is really good at collabo ,especially *one naira*,and *Do me*,not so sure about her singles.She should do more of it. Nice. Nigeria’s got talent for sure! Waje is a beautiful woman, and very talented. With more practice, hardwork she can be a big STAR internationally. Please, make me some chin chin, my mouth is starting to water. Chin chin puff puff, meatpie, naija has the best snacks ever. I’m waiting eagerly to digest your album,dearie. Never knew you are a single mum(4 now). You must be very strong. May God continue to strengthen you and grant your heart desires. Waje is my sister, I have know her 4m when we where stool tall and trust me , anytime I hear her sign it seems like the 1st tym. Nice interview sis. what is there to say but to hope for the best for this wonderful woman. Go waje, go waje, go Waje! She looks like the biggest star- See the jaws, the legs and then there is the most beautiful voice ever. 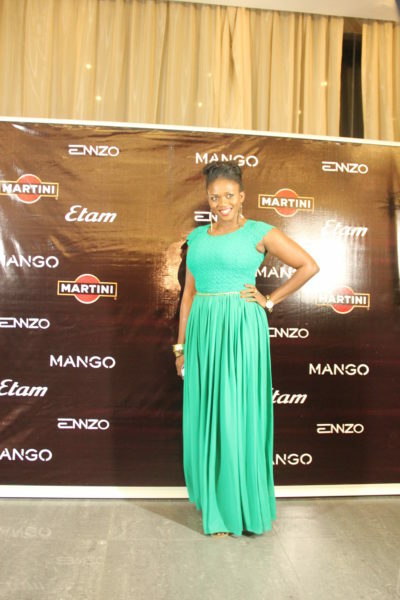 Waje is the epitome of a home bred international star. great work BN! Whether na one naira, whether na one million baby you got me, baby you got me! i know it is MI’s song but I cant help. i used to have that song on replay all the time. Now, leak or not, ‘I wish’ is on replay. I love a breath of fresh air and Waje is definitely one. And it is clear she is stepping up to bigger things; From her music to her videos, to her image to the feelings in her music. This babe is perhaps our answer to Mary J Blige. All woman, emotion, depth, strength, guts! Ahem *clears throat. Didn’t nobody notice the endless legs on this babe?! Kai. Very wantable, haveable, doable, lovable, keepable. Legs from here to heaven. Mehn! She’s quite talented and looks great. i love waje ..go girl u rockkkkkkk!!!! just watched the video for “for a minute” – in my own opinion, the outfit didnt suit her at all. the concept of the video is horrible. She looked so uncomfortable in the outfit especially the parts where she plays the Piano. Sweetie, your stylist needs to come on board for videos too. Love you still…..muah! Nothing is as deadly as a hot woman with a sense of humour and the voice of an angel. Waje has the goods and she is using ’em to great effect. i just wish this were longer, you know? God bless dear! May the Lord continue to strengthen you as a mother and help you to raise your daughter in the way of the Lord. Waje always ensure to pack urself properly.